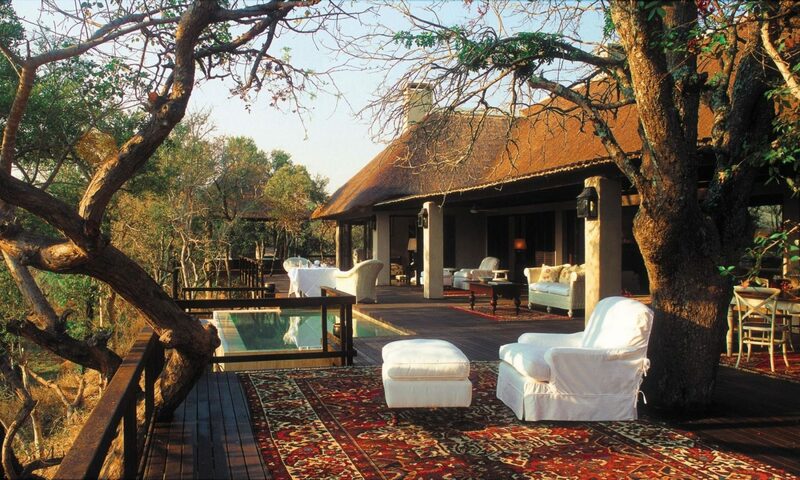 Royal Malewane high-end luxury lodges, Greater Kruger National Park. 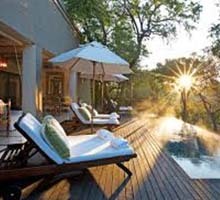 Royal Malewane is one of several high-end luxury lodges situated in the Thornybush Private Game Reserve within the Greater Kruger National Park. Lowveld savannah grasslands and wooden thickets play home to an abundance of African wildlife, including the African Big Five. The beautiful surroundings are a popular choice for local adventures, world travellers and celebrities alike. A Private reserve spanning 14 000 hectares lies adjacent to the Kruger National Park and have earned countless international awards for nature conservation and excellent hospitality. The beautiful luxury suites are designed with African style and elegance in mind capturing the vibrancy, colour and energy of Africa. Royal Malewane supports local designers and manufacturers adding unique character and spirit to each suite. Dark wooden features and a beautiful Victorian bath ads to the luxury. The 6 Luxury Suites are ensuite and air-conditioned to offer relief from the African heat. a Canopied king-sized bed with Luxury linen offers heavenly comfort alongside a stunning fireplace for a chilly night, should it occur. 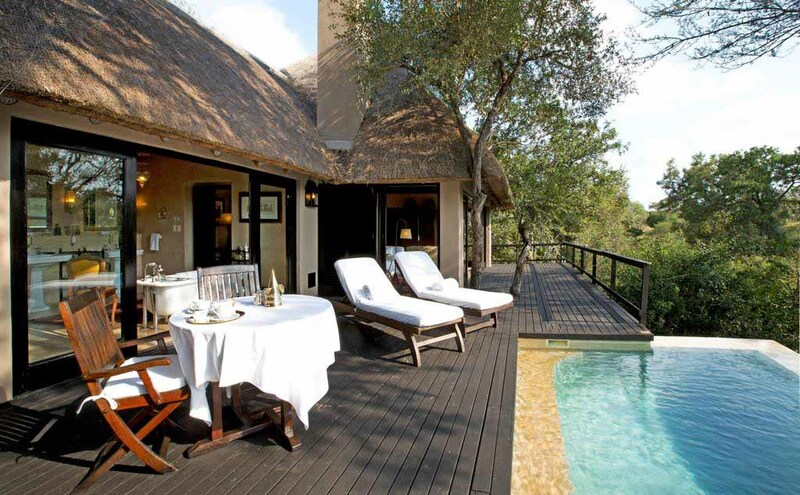 Guests are further spoiled with a private wooden deck and thatched gazebo. Luxury Suites are linked to the main lodge by elevated walkways, offering guests complete privacy. Guests in turn, who choose to stay in one of the Royal Suites, will have luxury at their doorstep. A Private Butler and chef, a professional guide and an open safari vehicle is available for their exclusive use. The 2 Royal Suites offer private Sitting and dining areas and a fully equipped kitchen with everything you might need to prepare a delicious meal. A Large wooden deck is the cherry on top of the Royal Suite experience. Another popular accommodation choice amongst guests is Africa House. Africa House offers visitors complete privacy and exclusivity. Africa House offers an ensuite bathroom, air-conditioning and under floor heating. 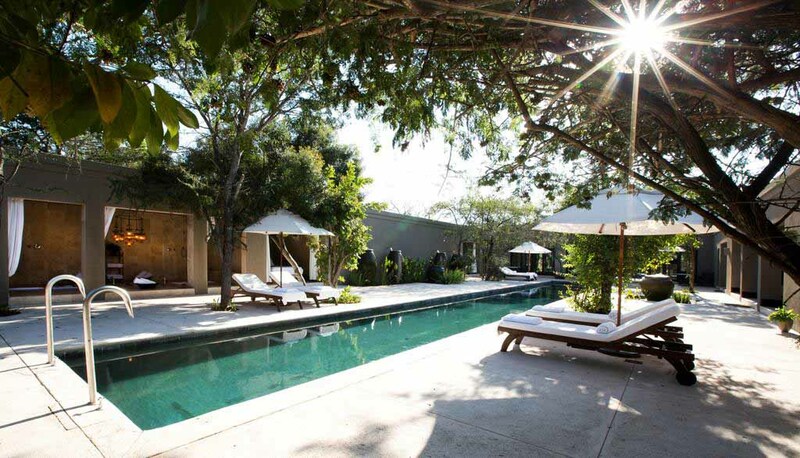 Africa House offers accommodation for 12 guests with a large living and dining area. A Large veranda offers the perfect setting for Sundowners and a sparkling plunge pool helps guests cool down after a long day. Africa House is a full-service, self-catering option with a private chef and staff available to assist with daily meal preparations. Other facilities available to African House guest include, Barbeque Facilities, Spa Treatments, Game drives and Walking Safaris. 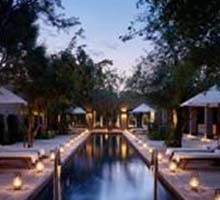 Royal Malewane’ exclusive award winning spa & wellness Centre (The Waters of Royal Malewane Bush Spa) is world renowned for its stunning setting and luxurious treatments offered to guests. Internationally qualified therapists provide therapeutic massages, luxurious body treatments and calming hydrotherapy, making use of the spa’s own healing earth products alongside a selection of international products. Treatments are offered in the privacy of a private casita. 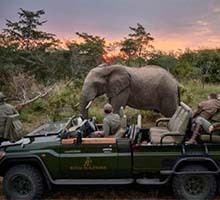 Guests are treated to daily to morning/late afternoon game drives that are tailored to each guest’s wishes. Choices may include Big Five, Birding and archaeological sites. 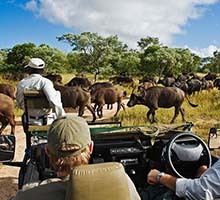 Guests are accompanied by a professional game ranger and experienced tracker at all times. Royal Malewane employs the best in the industry; each possessing an intimate knowledge of animals, birds and vegetation and an intuitive feel for the African bushveld. Other activities available at Royal Malewane include: Bird Watching, Star Gazing, Helicopter Trips, a Panorama Route Tour and a Blyde River Canyon Cruise.